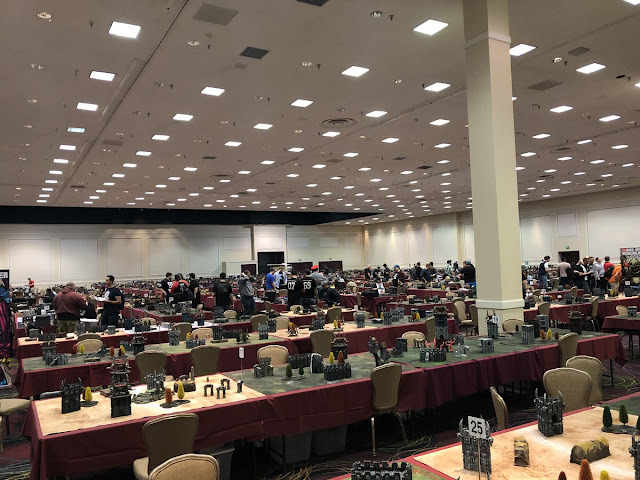 Last weekend saw me in Las Vegas for the annual Las Vegas Open gaming convention. I was taking part in the 40K Narrative tournament. 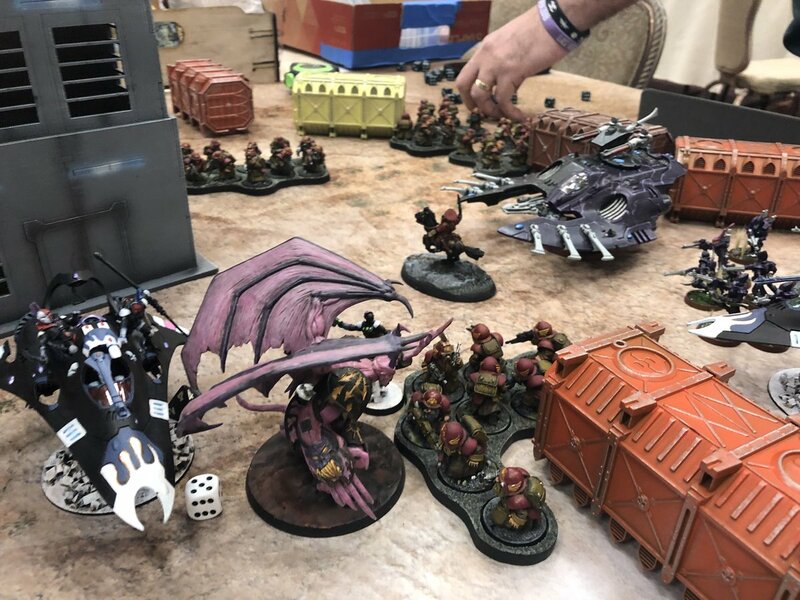 Usually the ultra competitive nature of tournaments has put me off participating in such events, but a friend sold a group of us on the narrative event. It's a much more casual friendly, and relaxed, event aimed at rolling dice and having fun rather than specifically 'winning'. 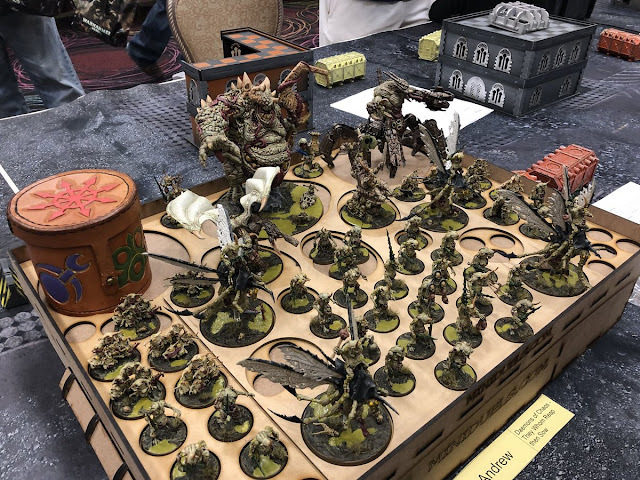 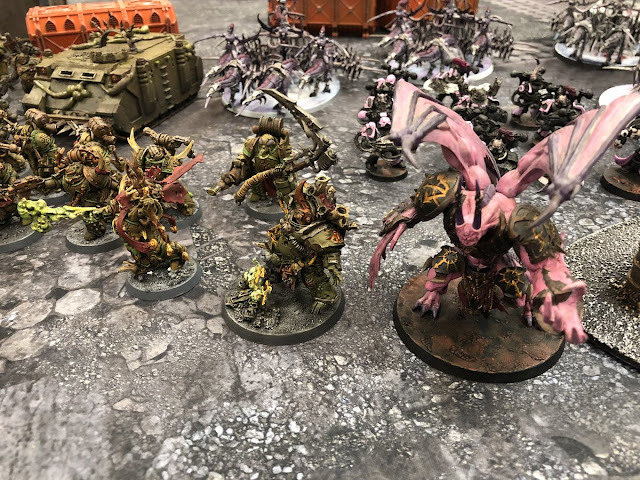 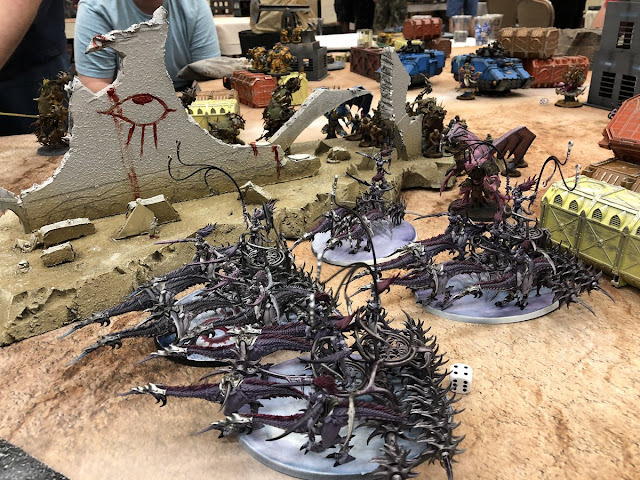 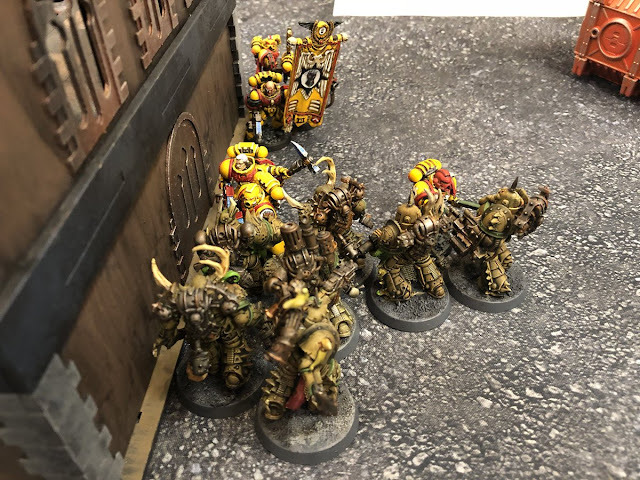 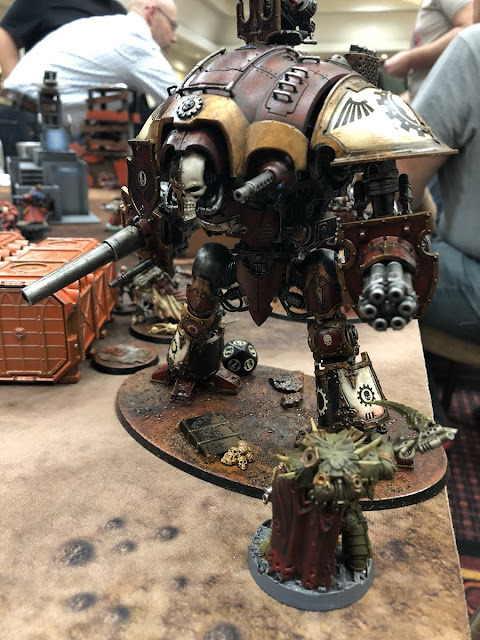 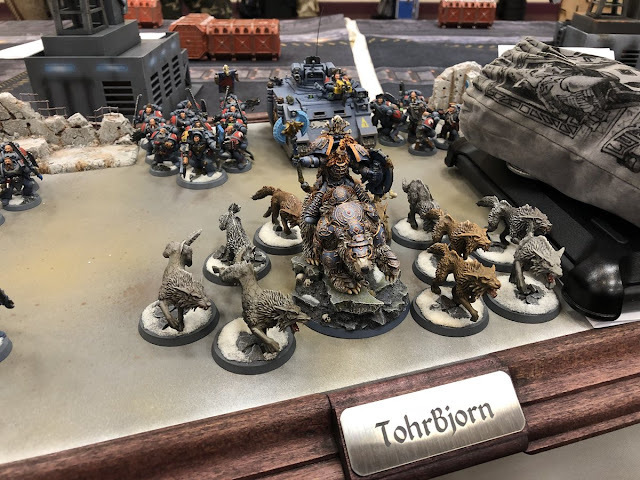 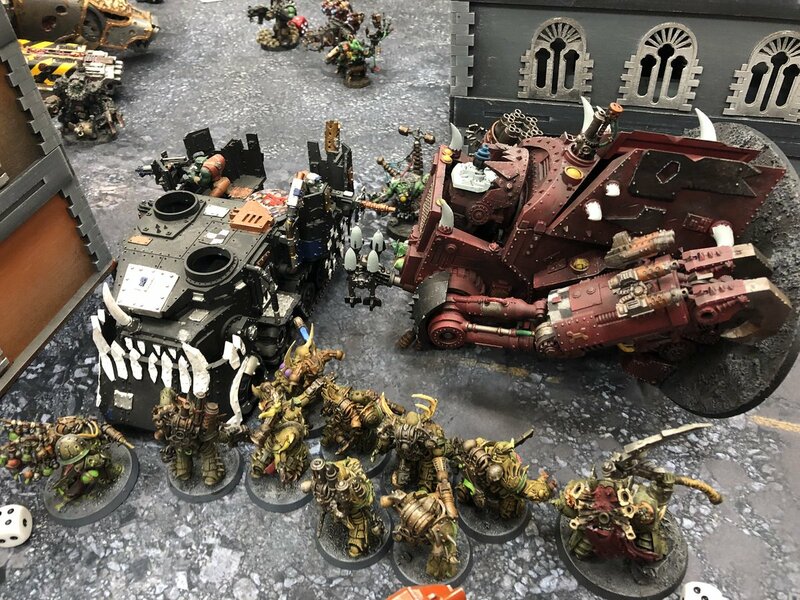 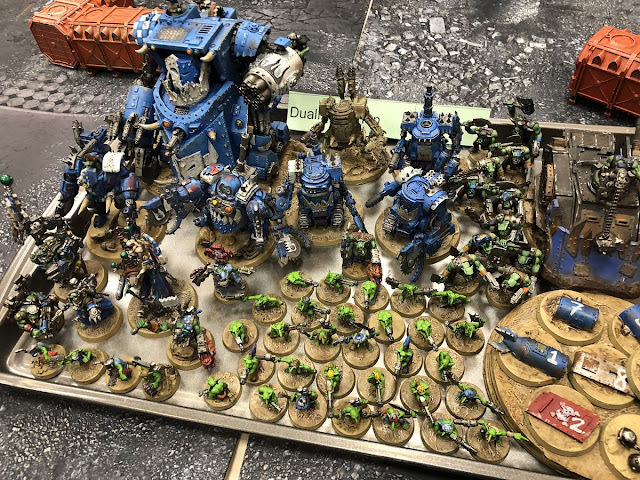 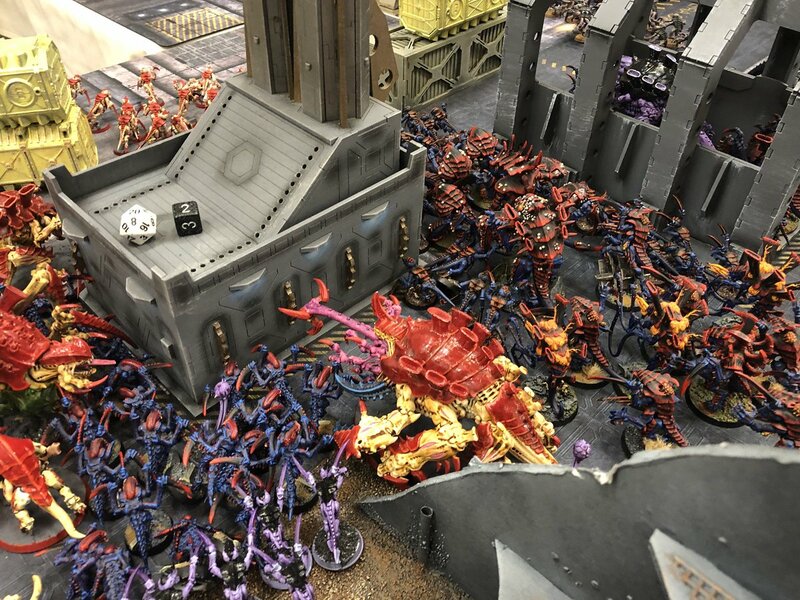 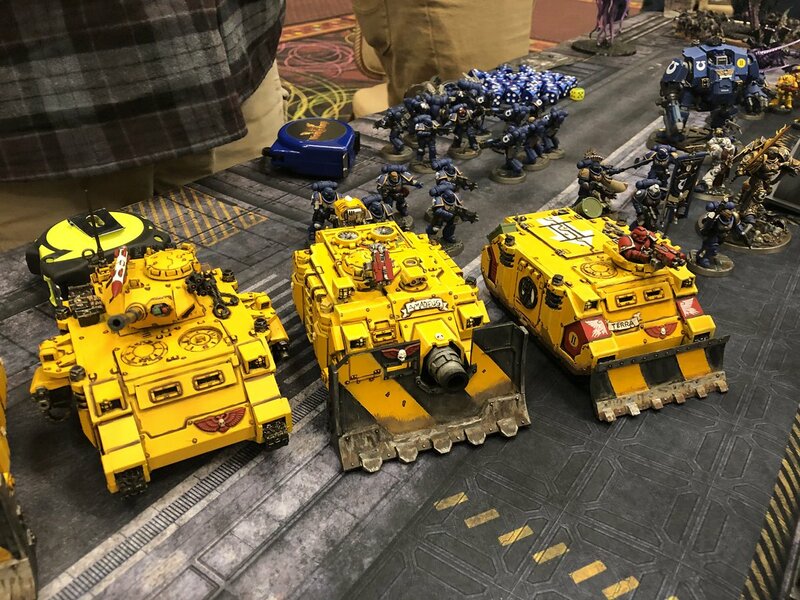 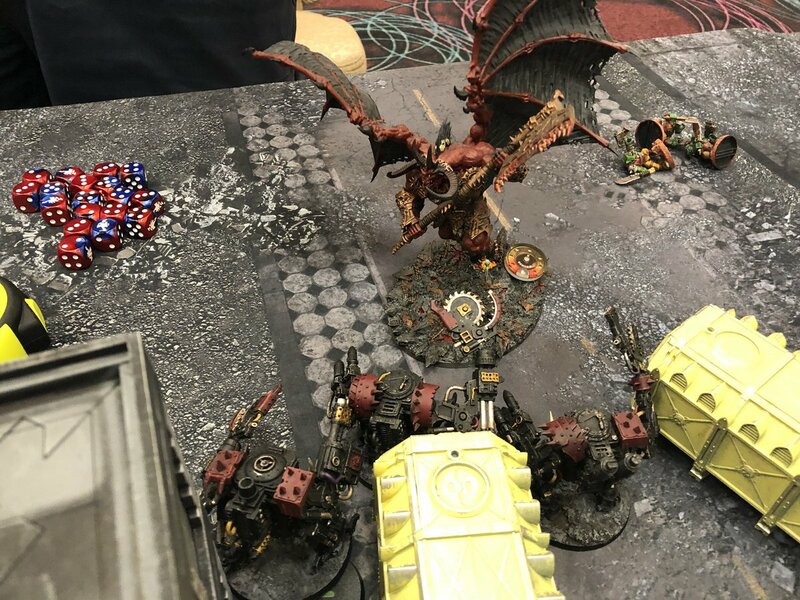 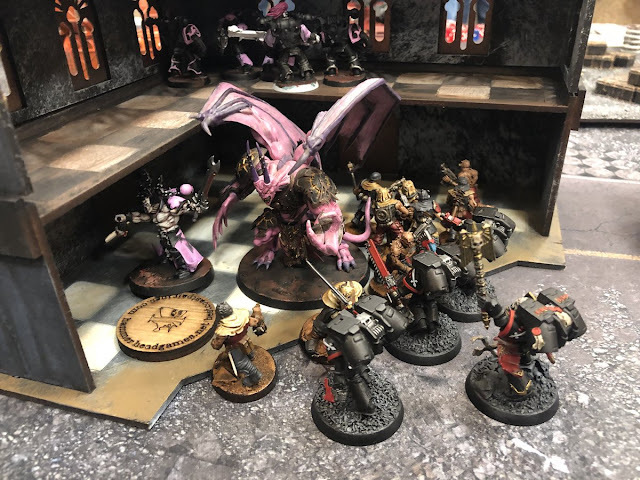 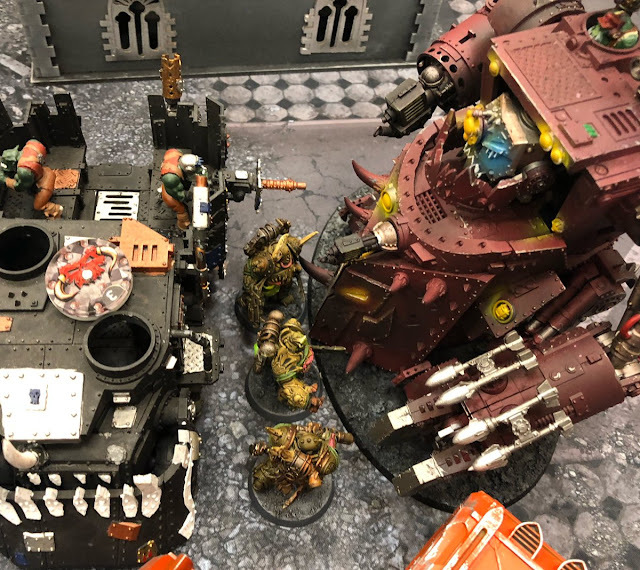 We had a blast, and this event included a couple of the most entertaining games of Warhammer 40K I have played in my twenty plus years in the hobby. The event had a narrative structure with different factions fighting for control over a planet across the course of five game rounds over three days. 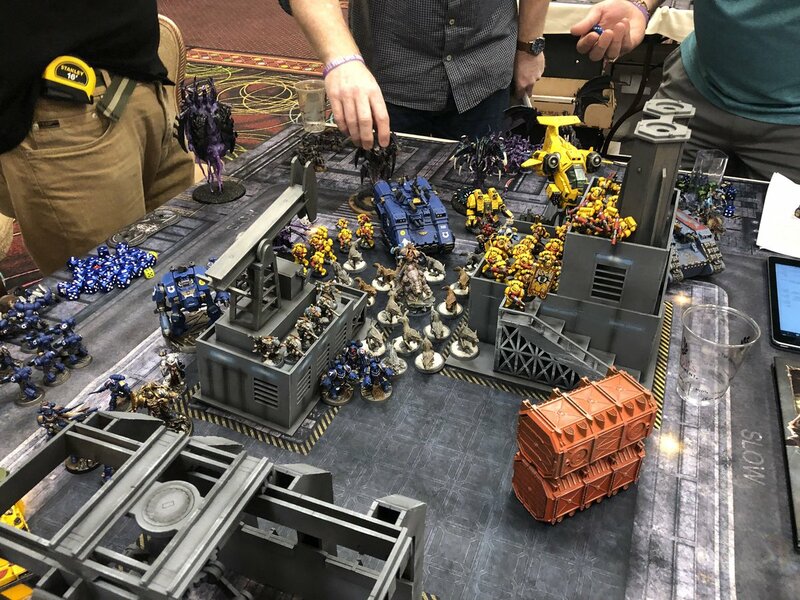 Games were played in teams at values of between 1500 and 3000 points. 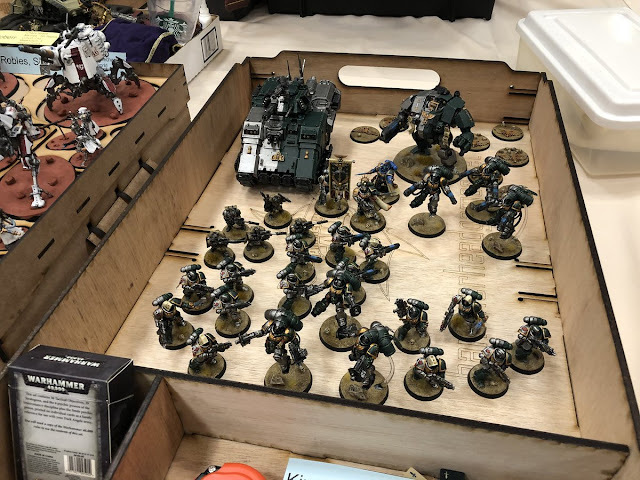 The factions were organized in four teams - Chaos, Imperium, Advanced Xenos, and Savage Xenos - and each team had an event captain who marshaled the assembled players and ensured the match-ups were interesting, and fair. Overall the missions used were pretty fun, with only a couple of rough edges. 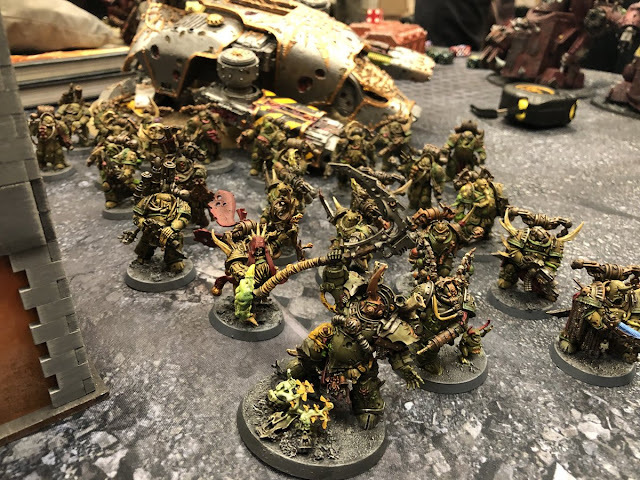 Honestly, when those issues were encountered the players generally agreed to just work around them in a sportsmanlike way. 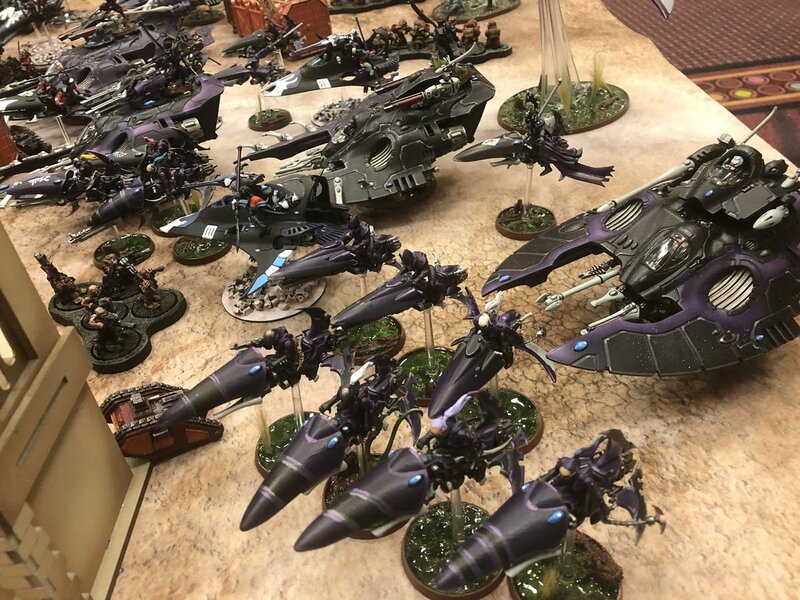 It was just that kind of atmosphere. 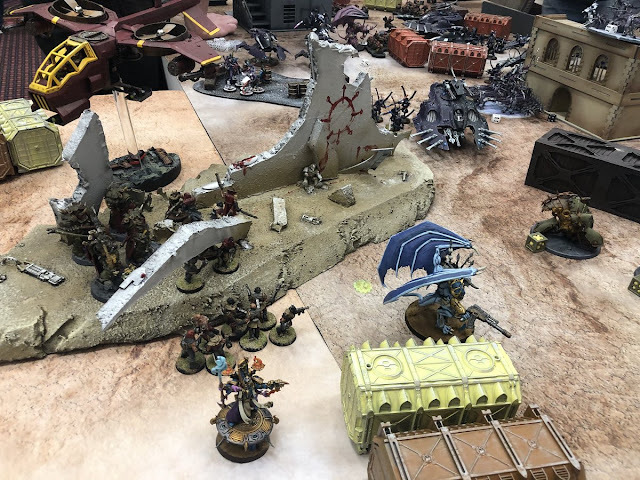 Each round impacted the following round, and a narrative was drawn as the various missions played out, culminating in some epic final battles for control of ancient artifacts. Mostly though it was an amazing event because of the other players. 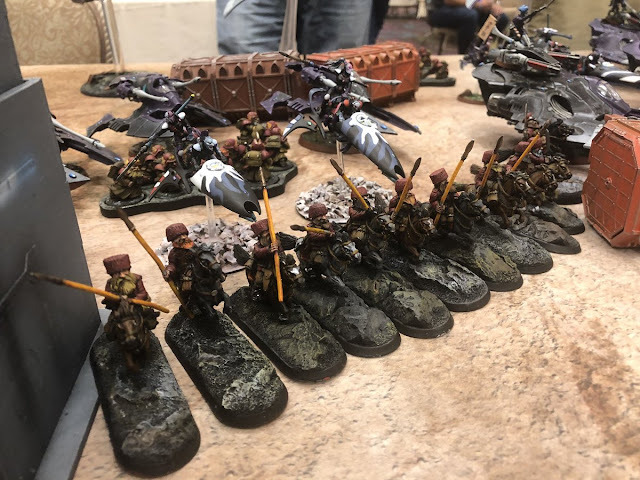 Every game was played in a great spirit and the focus was on fun and creating stories. 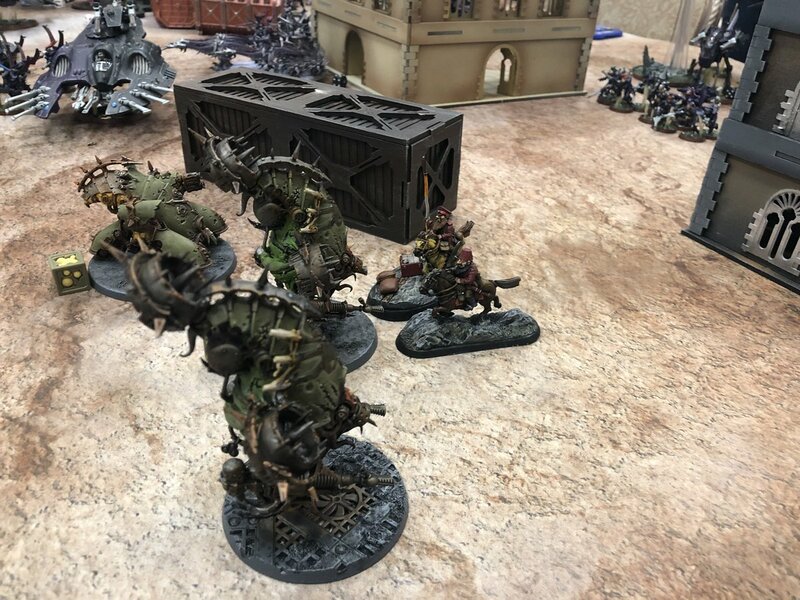 There was a lot of dubious tactical decisions taken for pure theatrics that would have the competitive types weeping quietly in the corner. 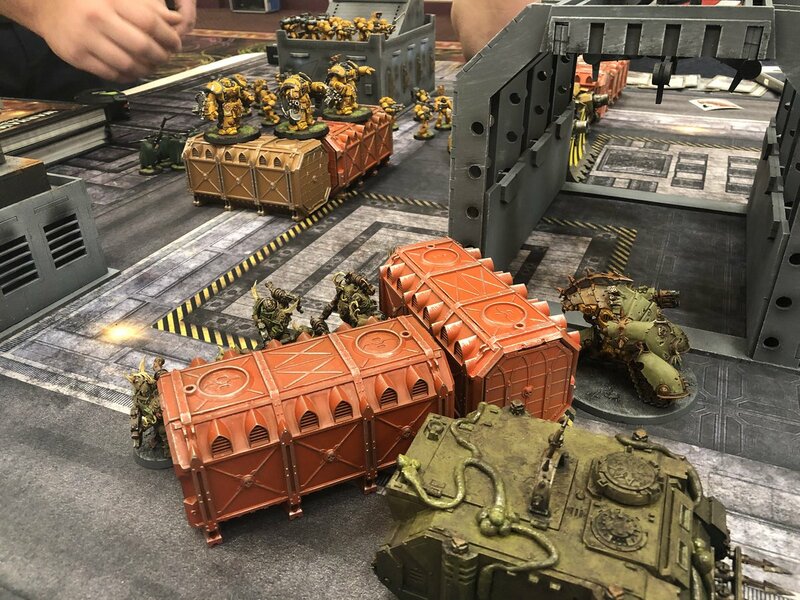 I was playing my Death Guard and got to partner with armies from all the chaos factions, and a couple of traitor legions. There was also a wealth of wonderfully painted armies on display! All in all I can heartily recommend the event. 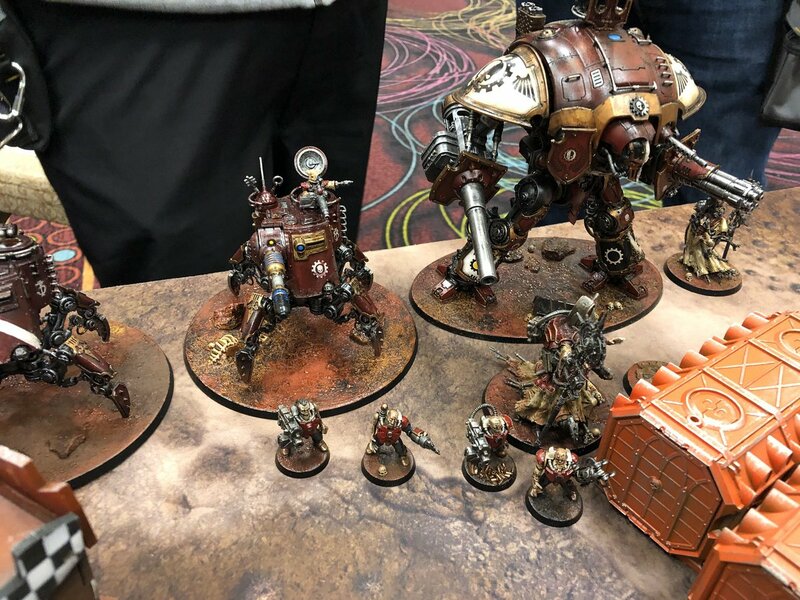 One to mark for your calendar for next year if you are interested!